Even parks with the most basic of wet leisure facilities can maximise the potential their offering with a few simple measures that will broaden appeal. With water leisure at the top of many visitor priority lists, it is vital for holiday parks to continuously not just meet but exceed demands for safe and fun aquatic facilities. Even parks with the most basic of wet leisure facilities can maximise the potential their offering with a few simple measures that will broaden appeal and keep the guests coming back time and time again. The indoor heated swimming pool at Swanage Bay View is open to guests and the public, and sees around 50,000 users on average each year. The pool plays host to an assortment of water activities as well as swimming sessions, including snorkelling, aqua fit classes, pool parties and the increasingly popular Waterwalkerz, which can be hired by guests on request. 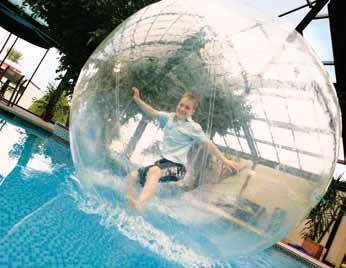 The Waterwalkerz at Swanage Bay View Holiday Park are a popular attraction at the poolside. 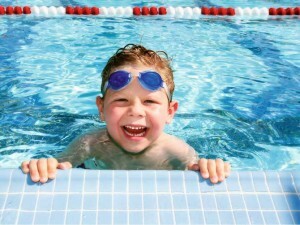 Haven holiday parks make the most of their swimming facilities by offering swimming lessons for children, amongst other pool-based activities. 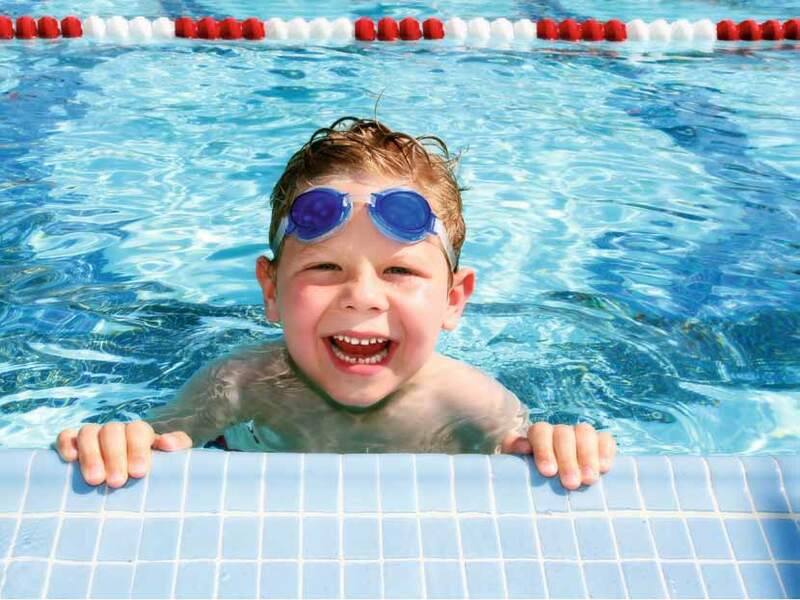 In partnership with the Swimming Teacher’s Association (STA), Haven provide Learn2Swim sessions for guests aged four and above, as well as parent and child Water Confidence sessions for youngsters between six months and three years of age. Gordon Bush head of sports and leisure for Haven comments: “Many of our parks offer sessions to team members and their families and have also worked in partnership with local communities by inviting local schools onto park to access our lessons and facilities. The indoor teaching pool at Haven Holiday Park in Burnhamon- Sea was recently transformed into a highly interactive water play area aimed at increasing water confidence among youngsters. Supplied by Hippo Leisure, the pool now features a short mast which supplies two interactive water channels with a flow of water. There are also large tipping buckets, water wheels and shark showers, which are suspended above the pool on a span pipe, with high level water spraying, tipping and showering at regular intervals.